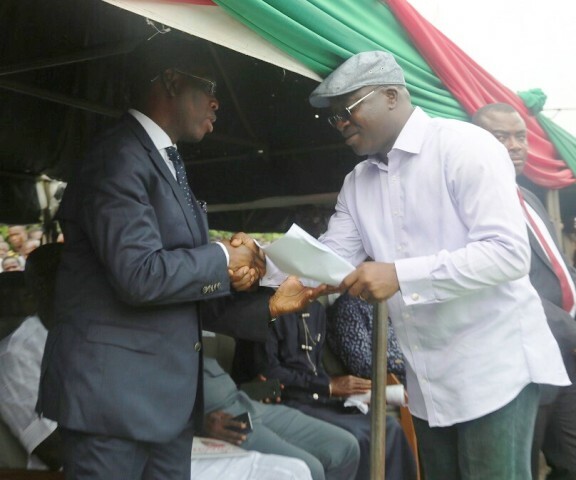 The Delta State Commissioner of Information and Chairman of the 2016 one-year in office anniversary of the state Governor, Mr. Patrick Ukah, has said that Deltans should expect unprecedented harvest of developments in the years to come using the numerous projects commissioned by the governor in one year as a yardstick. Speaking at the end of the commissioning /inspection of projects across the state by Governor Ifeanyi Okowa on 24/06/2016, at Owa-Oyibu, Ika North East Local Government Area, the Information Commissioner stated that with the limited financial resources at the disposal of the state, prudent management of funds made it possible for the governor to record such a huge success within one year. Mr. Ukah assured Deltans that in the years ahead, more developmental projects will be executed in all parts of the state in line with the Prosperity for all Deltans Agenda of Dr. Ifeanyi Okowa. He expressed the appreciation of the government to Deltans who came out in large numbers to accord the governor and members of his entourage a very rousing welcome in all the places visited during the anniversary celebration. According to the Commissioner, the number of enthusiastic people who came out to welcome Dr. Okowa to their areas was an expression of their appreciation of the good works he has done and will continue to do for them.